At LeVos Dentistry, you are our priority. Our focus is on a personalized and comprehensive picture of your health. We listen to your needs, we respect your choices, and we work with you to develop a treatment plan that’s specific to your personal risks, not our own agenda. Not all dental practices are the same, and you have many choices when it comes to your dental care. We want to be your partner in better health, and we believe dentistry plays a significant role in that outcome. We respect your treatment choice, for whatever reason you make that choice, and we are committed to putting your agenda ahead of our own. 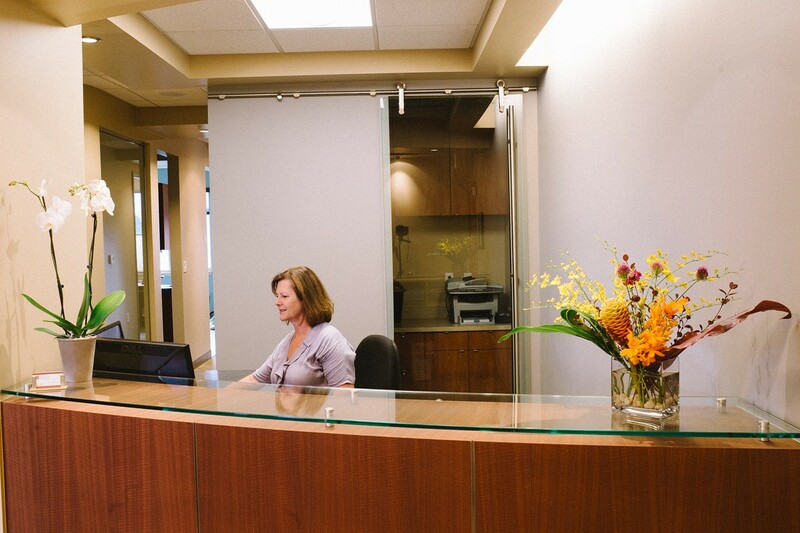 We have thoughtfully and intentionally assembled a team of support staff to ensure your visits are comfortable, that your time is used wisely, and that you are treated with the utmost respect. Education and training are key to growth and improvement. With this as a priority, Dr. LeVos continually seeks the latest scientifically proven techniques and cutting-edge technology that enable him to provide the highest level of dentistry. Dr. LeVos is experienced in treating patients with significant dental issues, and he always welcomes the opportunity to utilize his advanced skills to help patients in need of the more complex dental solutions. Dr. LeVos has participated in numerous advanced dental training courses and has logged over 1,600 hours of continuing education. He is a Fellow of the Academy of General Dentistry. He has trained under some of the best dentists in the world and is a graduate and Mentor at the Kois Center in Seattle* where he helps to train other dentists from around the world. When it comes to our patients, we know one size does not fit all. We work with you to determine your specific risk profile and subsequently create a dental care plan that fits your needs. We comprehensively assess your condition and give you the information you need to make choices in your own best interest. A beautiful smile is important but it’s more than just how your teeth appear from the outside. Oral health is affected by deeper biological factors, which we consider when we treat each patient. By looking at the comprehensive picture of health, we can provide solutions that are longer lasting and ultimately lower cost over a lifetime. We partner with other specialists and doctors to create a team you can trust. By working with some of the best oral surgeons, orthodontists, and laboratory technicians in the country, LeVos Dentistry consistently provides you with the best available services. With Dr. LeVos and his team, you can count on a caring, positive dental experience in a relaxing, friendly atmosphere. We are proud to say we’ve earned a reputation in the Evergreen and surrounding communities for caring, quality dental care and we work hard to maintain this standing with all of our patients. We hope you’ll consider partnering with us for the betterment of your oral – and overall – health. If you feel like LeVos Dentistry is the right partner for you, call us to make an appointment today. *The Kois Center is self-funded learning center dedicated to enabling motivated dentists achieve extraordinary levels, expanding knowledge and application skills in restorative dentistry. Many of the core values of our practice are reflective of Dr. LeVos’s Kois Center training. Click here to learn more about these core values and The Kois Center. Get in touch to schedule your appointment. We look forward to exceeding your expectations.